Mustahsan Ali Shah fired Bilton CC to a much-needed victory in Division One of the Airedale & Wharfedale Senior Cricket League. Ryan Bradshaw’s team went into Saturday’s home clash with Pool without a win in their previous four matches, but an 82-run success sees them move 17 points clear of the top-flight’s relegation zone. Shah was the star of the show, smashing 20 fours in a stunning knock of 138 as the hosts compiled 291/9 from their 50 overs. 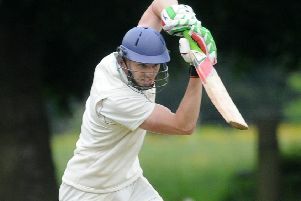 Lewis Mallinson also weighed in with 54 and David Hardcastle added 34 not out. Pool slipped to 34/3 in response, and although they did rally, the visitors were always up against it and Amir Hussain’s four-wicket haul ensured they ended up well short on 209 all out. Beckwithshaw remain trapped in the bottom two following a 110-run reverse at the hands of Ilkley. All of the home top three were in fine form, each hitting half-centuries to steer their team to 294/6 despite 3-52 from Joe Holderness. Plenty of ‘Shaw’s batsmen made starts, but none of them managed to go big and score more than Peter Hotchkiss (37). Last year’s champions dug deep at 120/8 and managed to make it to 184/9 before running out of deliveries. The result leaves them 17 points shy of safety just past the halfway stage of the season. 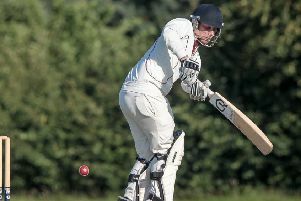 Follifoot’s impressive early-season form appears to have well and truly deserted them after they slumped to a seventh defeat in eight outings. Solid knocks by Itikhar Hussain (56) and James Orton (46) took Alex Fox’s men to 195/7 batting first. They then knocked over home batsmen at regular intervals when Rawdon came to the crease, with Hussain (4-40) again their leading light. Patrick Nagel (2-29) and Yasar Ali (2-30) also did their bit, however the West Yorkshiremen made it over the line in the 39th over with two wickets remaining. In Division Two, Collingham & Linton got their promotion push back on track when they cruised past Steeton. Jack Harrison’s charges suffered a first loss in five last time out, but bounced back in fine style to close the gap between themselves and the second automatic promotion place to 11 points. Chris Bridge (4-30) and Toby Jacklin (3-63) bowled nicely to help restrict the hosts to 200/8. It took Collingham just 30.3 of their allotted 50 overs to chase that total down, opener Nishant Desai plundering 93 from only 74 balls. Charlie Swallow (43 not out) then helped close the game out, the visitors easing to 201/2.